As Stan Laurel is everywhere this week, I thought I would revisit the first week of my holiday. Waiting for the bus in Bottesford, I amused myself taking photos of this pub from a distance. What I didn't know then was that the Bull Inn was once kept by Stan Laurel's sister. Not only that. When Laurel and Hardy appeared at the Nottingham Empire to do a Christmas show in 1952, they stayed at the Bull. The Nottingham Post has a photographs of them behind the bar and enjoying a drink with their wives. One of the dreams of older Brexiters is to see Britain regain a closer relationship with former British Dominions like Australia, Canada and New Zealand. True, it was said of Sir Robert Menzies, Australia's prime minister from 1939 to 1941 and again from 1949 to 1966, that he governed the country as though it were moored off the coast of Kent. He added that negotiating a free trade deal with Britain would be "at a minimum … two and half a years away", and said talks with the EU were significantly more advanced. "I see the European Union FTA as certainly commencing formal negotiations well and truly prior to anything that might happen with the UK," he told MEPs. "The UK and Australia of course do have a historical relationship, but it's in many respects a relationship of yesteryear." I fear the Brexiteers' dream, born of a mixture of nostalgia and racism, is over. Search Google News for 'Steve Ciobo' and you will find he spends his time talking to India and China. Both are a lot closer to Australia than Kent is. Some people say it's a strange place. I can't see it myself. 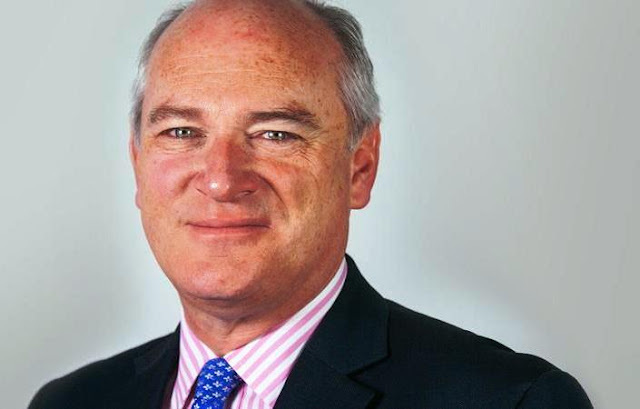 Nick Harvey, the former Liberal Democrat MP for North Devon, was appointed as interim chief executive of the party. That makes it interesting to revisit an article he wrote for Liberator in November 2015 on the party's collapse at that year's general election. Our biggest mistake in responding to that finding was to offer up a diet of backward-looking self-congratulation on what we had achieved in coalition. There were indeed many Lib Dem achievements in office of which we should be proud, and no one else would blow the trumpet for them. But many were in the earlier years so no longer news, and all were by definition done with Tory consent so they had shared credit in some cases. You can read the whole article in Liberator 375. This morning Radio Four Extra broadcast a programme from 1947 that will be of interest whether you are interested in social history or the history of broadcasting. The School on the Moor paints a portrait of Bolventor School, which had 24 pupils aged from five to fifteen and two teachers: headmaster Reginald Bennetts and his wife ("Master" and "Teacher" to everybody). In this experimental programme, BBC engineers had set-up microphones around this tiny remote village school in the middle of Bodmin Moor in the autumn of 1947. Microphones and cables were left to allow children to get used to them. Bolventor School closed in 1994. Today, of course, it is The Old School, a "sympathetically converted Grade II listed former school with stunning views to Bodmin Moor". 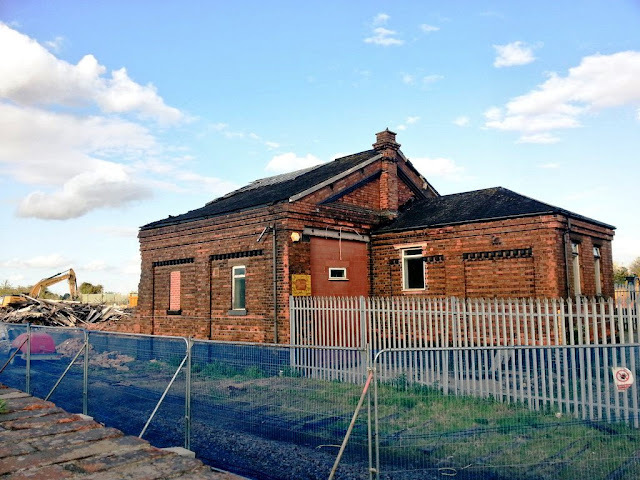 Last November I visited the Great Central's Mountsorrel station and found everything locked up for the winter. This video was shot last month. It shows steam and diesel traction using the line. 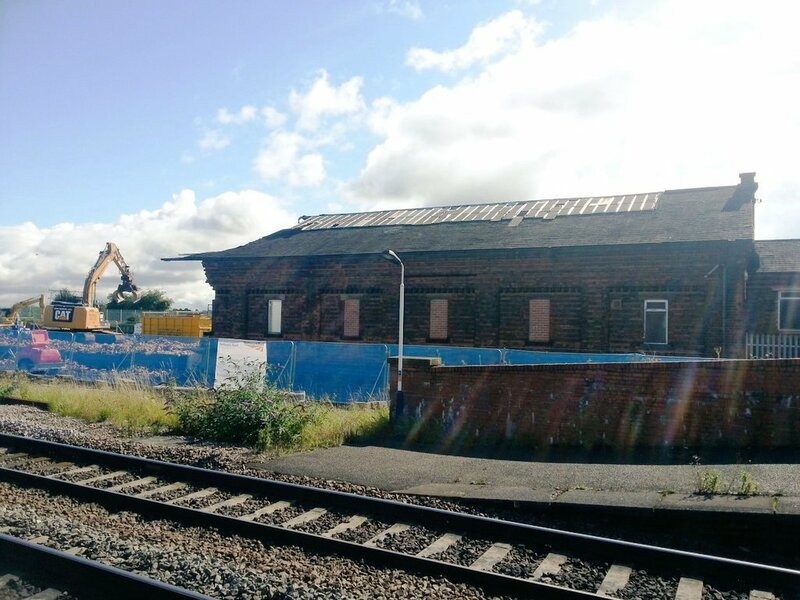 I went through Loughborough today and saw work going on to join the two halves of the Great Central by restoring the embankment and bridge over the Midland line. Exciting days. Gavin Stamp says Big Ben is the least of the Palace of Westminster's problems: "The House of Commons still will not commit itself to leaving the building to allow the restoration to begin. This is both selfish and financially irresponsible, for the longer the restoration is left, the further the deterioration becomes and the greater the expense of repair." "The past has a value to the present, and you don’t have to scrub it all out and start again." Rowan Moore argues that the restoration of Liverpool's Welsh Streets offers a lesson for national housing policy. 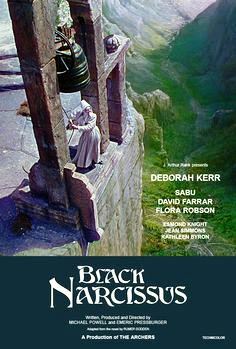 Seventy years after it was made, Max Covill examines the allure and shock of the Powell and Pressburger film Black Narcissus. Tim Holyoake has been to the Edinburgh Festival Fringe - and he believes in the Loch Ness Monster. James Alexander Cameron hates Westminster Abbey. "The best compliment to the song I’ve come across was provided by Leo Moran of the Irish good time band The Saw Doctors who observed: 'One night for no particular reason we did Downtown and you could see people loved it. All ages. 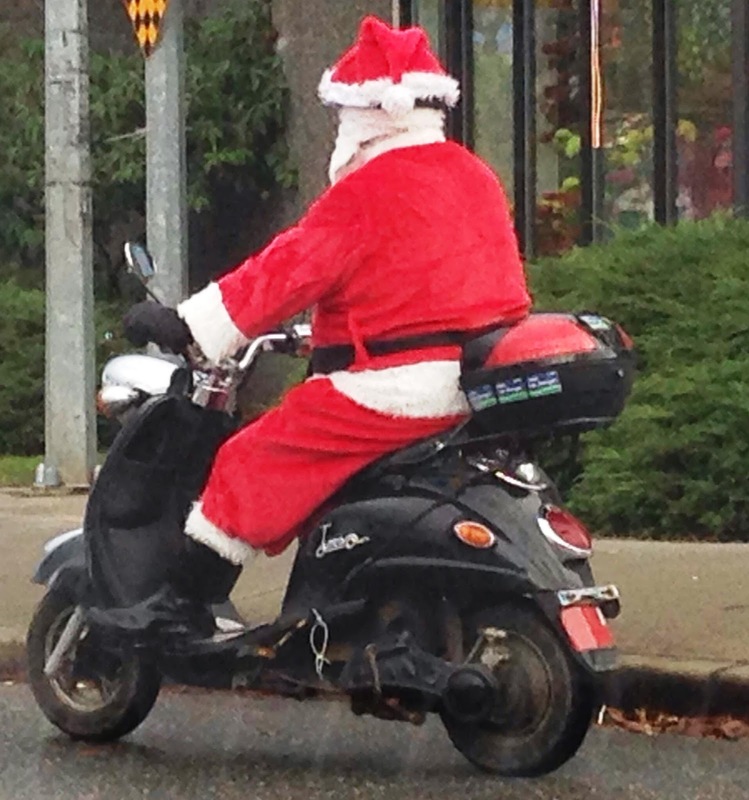 You could see it brought joy to people’s faces.'" Thom Hickey pays tribute to an ageless classic. You can read the Tory leader's explanation of these events in the Mercury article. Apparently Boothby has "done some fantastic work" and Rooney "was doing a great job". The Liberal Democrats had control of the council between 2007 and 2015. 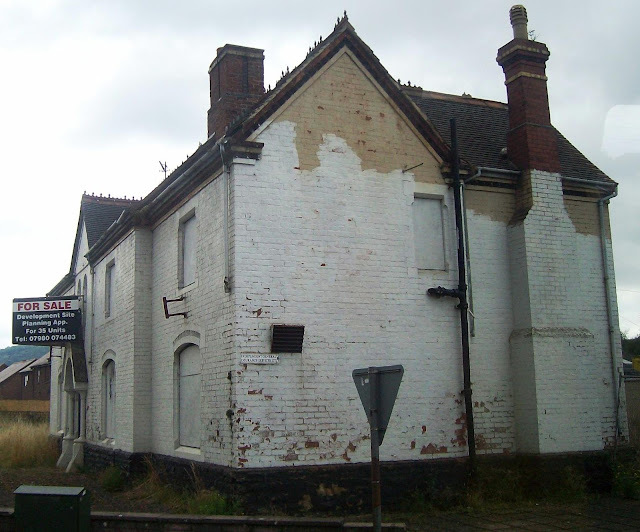 Back in Craven Arms I found that the old Temperance Hotel, which has stood empty for many years, had been demolished to make way for housing. If you are at Villa Park next week you can bid for the site. Towards the end of the 1870s an ex-railwayman, Thomas Edge, took over. His family remained proprietors until the building was commandeered by the Army in the Second World War. They must have liked it as they could not be dislodged until March 1951. In its glory days the hotel boasted “good accommodation for commercial gentlemen, every comfort for tourists, good fishing, horses and traps for hire, terms moderate.” The building was sold to a private owner in 1965. But by 1978 a sign proclaimed its future as a ”Washteria.’ It has been unoccupied for years. For the time being there are still some fine decorative railings left to enjoy there. Despite the spelling mistake, Essex Live wins our headline of the day award. Follow the link to view the video there. In yesterday's post on Rowan Atkinson's schoolmaster sketch I mentioned my hero the former England cricket captain Mike Brearley. When Brearley became England's captain in 1977 it was almost as though Jonathan Miller or Michael Frayn had been put in charge. Anyway, I have discovered this morning that Brearley has a new book coming out - On Form - and he will be promoting it at literary festivals in the autumn. Judging by the review behind The Times paywall, On Form is discursive and has more to do with psychoanalysis (Brearley's later profession) than cricket. Which means that a better introduction to his work may be The Art of Captaincy, which has been republished a couple of times since he wrote it in the 1980s. And look on Amazon for the books he wrote about his three successful Ashes series as England captain: The Return of the Ashes, The Ashes Retained and Phoenix from the Ashes. I have never seen the anthology Freudian Slips that turns up there too. After Unman. Wittering and Zigo, what comic sketch could I post but this? In fact, the sketch contains a subtle nod to the film (and radio play): Zob is absent. Dating from 1979, this is the first thing I ever saw Rowan Atkinson do. It is also the funniest thing I have ever seen him do. And note how he puts the heckler down without leaving character. The Secret Policeman's Ball was one of a series of roughly annual evenings held to raise money for Amnesty International. It featured several of my comic heroes: John Cleese, Peter Cook, Michael Palin and Terry Jones. 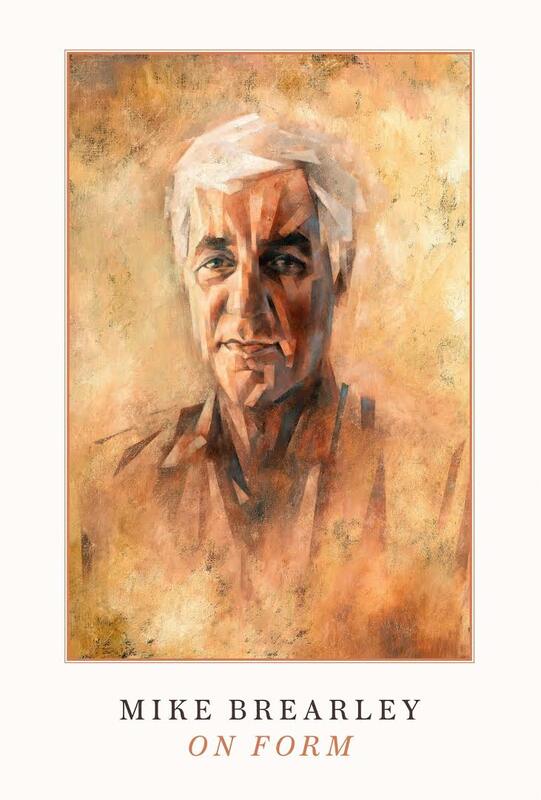 They even got Mike Brearley up on the stage. Television have been described as the "founding fathers of New York punk". Friction is a track from their 1977 album Marquee Moon. 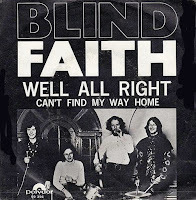 Now widely praised, it failed to reach the Billboard top 200 but did make no. 28 in the British albums chart. You wouldn't have got that Eastern, almost virtuoso guitar sound on a British punk record though. Yes, it's time for me to start sharing my snaps from my recent visit to Shropshire. You will find I have taken the precaution of locking the doors. When I got to Stokesay Castle I found the interior was given over to vaguely medieval activities for children. They were presided over by a Muslim woman and youth. A sword battle ensued. When the youth called out "Kill them!" to his team, and then put his hand over his mouth as if he had gone too far, I responded "That's the spirit!" in my best Lord Bonkers voice. 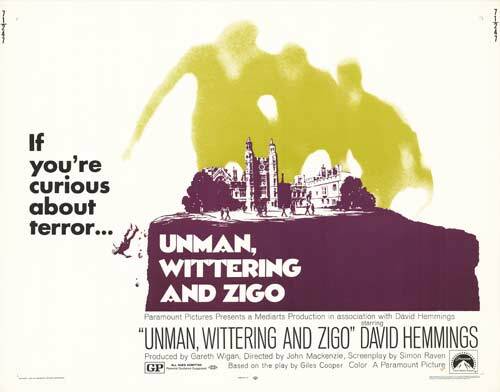 This 1971 film starred David Hemmings as a master at a pubic school who comes to believe that the boys murdered the previous occupant of his job. The screenplay was written by Simon Raven. But it originated in 1958 as a play for radio by Giles Cooper. And BBC Radio 4 Extra has just rebroadcast that radio play. Whoever wrote the webpage for it on the BBC site had the film on the brain, because Hemmings is quite wrongly listed among the cast. Anyway, you have a month to listen to it on the BBC iPlayer - and I suggest you do so. Ian Jack and Neal Ascherson are two of my favourite journalists. This is because they are able to bring a historical perspective to the day's events. Many other celebrated commentators just offer hot takes on those events centered on the interests of the metropolitan professional class. 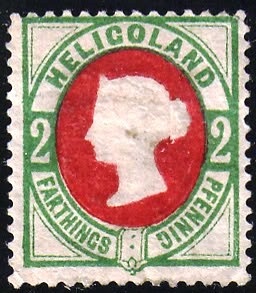 Ascherson has a piece in the current London Review of Books on Heligoland, a tiny island off the North Sea coast of Germany that was a British colony for almost the whole of the 19th century. Few Britons now know where the place is. Still fewer know that it was once a British colony. historians and politicians alike have fostered a narrative in which the empire allowed Britain to disengage from Europe, as if the two were clear-cut opposites … This is very much a 20th-century idea, reflecting, more than anything, Britain’s changed global position after the Second World War. The imperial project was never isolated from Europe, nor did it allow Britons to isolate themselves from Europe. Wise and relevant words, to be set against shameless Brexiter distortions of history. The other day I posted a video that explains why Confederate statues fall apart so easily when they are torn down. But here is one such statue that should be allowed to remain. It is the one that honours Jubilation T. Cornpone, the Confederate general who founded the town of Dogpatch. Li'l Abner was a popular cartoon strip in the US. It was turned into a stage musical with lyrics by Johnny Mercer, opening on Broadway in 1956. This clip comes from the film made of the musical three years later. I remember hearing this song as a small boy in the 1960s and finding it very funny. 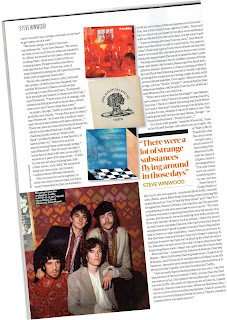 This blog's musical hero Steve Winwood is interviewed in the current issue of Uncut. 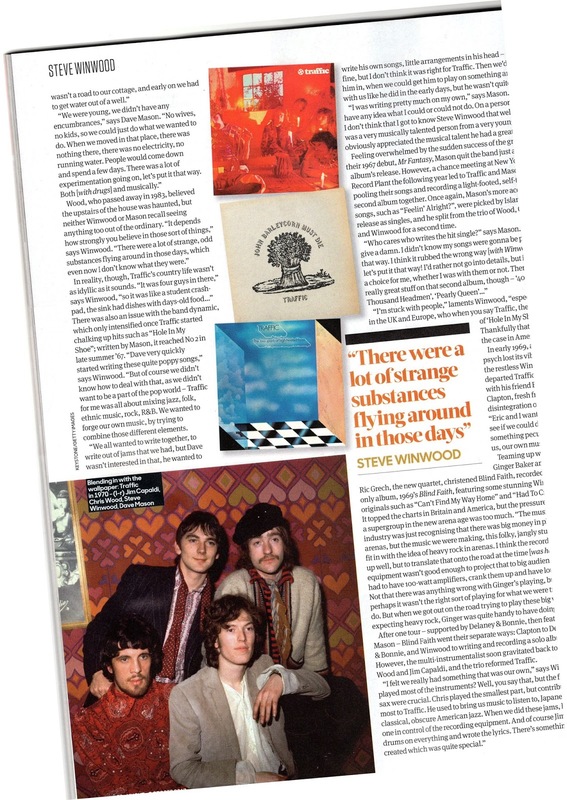 The interview takes us through his career competently, though there is not much mention of the Spencer Davis Group and little that will surprise the committed fan. An obligatory appearance by Dave Mason as the black-hatted bad fairy is in there too. "I always felt a need to work with the people with crazy, vibrant ideas. I needed those wild ideas, otherwise my music would be too tame. But they needed me as much as I needed them - I had to tame their ideas. That, I think, explains Winwood's creative partnerships with Vic Stanshall, Chris Wood in Traffic, and even with Jimi Hendrix. 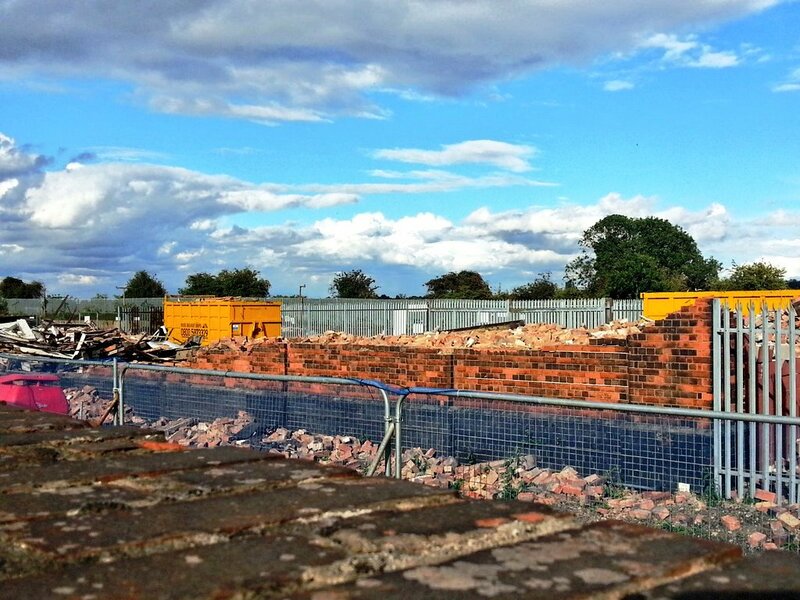 It's been a difficult few days here in Market Harborough. People in a quaint river boat in rural Leicestershire had a lucky escape when a tree smashed onto their boat. The 80ft tall trunk fell onto a tow path and hit the vessel where it was moored near Union Wharf in Market Harborough. The boat in question looks like a canal narrow boat to me, but the Mercury has some good photos of the incident so you can judge for yourself. A gigantic bee hive has been removed from a house after the owners noticed honey "oozing" through from their loft. Hundreds of bees were found at the grade II listed 18th Century house, in Market Harborough, Leicestershire, earlier in August. The homeowners, who did not want to be identified, found the "sticky substance" near a light fitting. Heritage insurers Ecclesiastical said its bee expert cut a hole in the ceiling and made the "surprising" find. Really, one might as well be living in Melton Mowbray. "More people fear not terrorism, but the possible political aftermath of terrorism, the anger and hysteria that can be manipulated by populist politicians seeking support, or by tabloid media seeking sales. And more people understand that, by historical standards, the level of terrorism in Europe is still relatively low." Anne Applebaum has a message for the terrorists - and politicians - who exploit fear. James Whitman on the way the Nazis studied America's race laws. Mary Burd, who worked as a clinical psychologist at the Jubilee Street practice in Stepney between 1979 and 2009, talks to Spitalfields Life. "Ada Lovelace was born 200 years ago this month. To some she is a great hero in the history of computing; to others an overestimated minor figure. I’ve been curious for a long time what the real story is." Stephen Wofram untangles the story of her life. Christian Drury went to England's first day/night test match at Edgbaston. "The music press was beside themselves upon hearing the news. Expectations for the group were sky high, and deservedly so. Cream had only just broken up, after being a true commercial juggernaut. Winwood was a beloved name, scoring hit after hit." 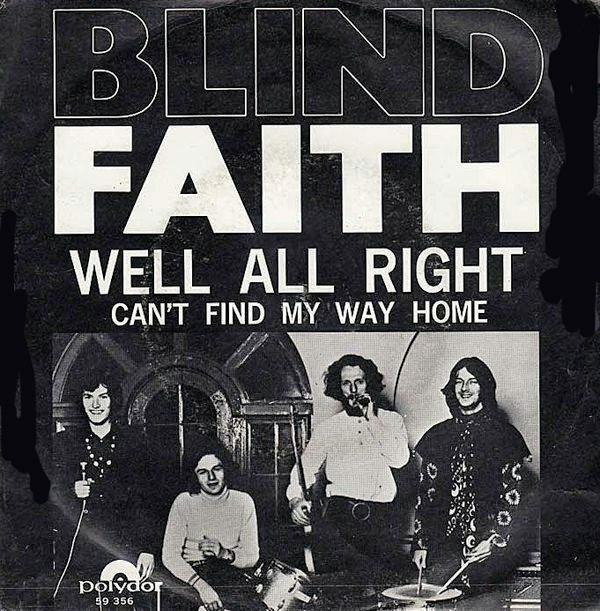 Rex Thomson describes the meteoric rise and fall of Blind Faith. What did I have on the walls of my room at university? There was a poster of Coalbrookdale by Night by Philip James de Loutherbourg and a reproduction of a 1950s railway map of Yorkshire sold by Leak & Thorp, the long-vanished York department store. 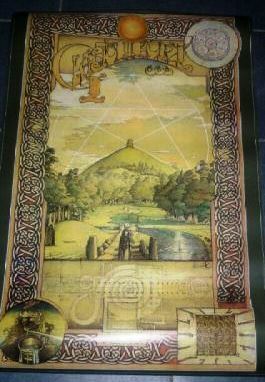 And there was this, bought from the Athena shop in Stonegate. The reason I have been thinking of my Glastonbury poster is that the artist was a teenage Jimmy Cauty, who went on to form KLF. And KLF have reappeared in Liverpool this week. Rather than oppose the Conservatives over substantial issues, the Corbynistas have decided to reopen Traingate. You see, what matters to them above all is the moral purity of Jeremy Corbyn. Hearing that questioned is what hurts most. Anyway, you can see the new video that is supposed to clear him above. I always thought that Traingate was a botched media stunt, and nothing here changes my mind. Like me, Jeremy Corbyn is a railway enthusiast. Like me, he is old enough to rather resent having to book a seat for your journey when you didn't have to under British Rail. What I do when I get on the train and find lots of seats reserved is look at the details of the reservations. It is usually easy to find a seat where the person who booked it has not turned up or one that has not been reserved until later in the journey. And I feel a little pleased with myself when I find somewhere I can sit down. But Corbyn does none of that. He marches through the carriage as though he is on the way to a prearranged filming location elsewhere on the train. Of course, there are plenty of trains that run "ram-packed" every day. If Corbyn's team was competent it would have chosen one of those to film on. But then if his team was competent it would have booked Corbyn and his companion seats in the first place. Remember the video I posted on The Great Quorn Public Lavatory Dispute of 1961? As I wrote then, what had once been the village lock-up is now a pizza business. And I was in Quorn on Saturday to take a photograph to prove it. What I also found was a new set of stocks which, says the board on the old lock-up, are a representation of those which stood in front of it until about 1868. I don't know if they had a particular problem with crime in this car park when the stocks were set up in 2010 or if they have made things better. The League of Gentlemen is to return to BBC Two for three special new episodes. This year marks the 20th anniversary of the comedy, which began on BBC radio before moving to TV from 1999 to 2002. At least I hope it's good news. Not every comedy that makes a return is a success. What the young people will make of it I do not know. I think the humour of The League of Gentlemen was very much of its time. But that time was not the 1990s. To someone who grew up in the provinces in the 1970s, it was not so much comedy or horror as documentary. Life as like that. The Legz Akimbo Theatre Company, or at least a group remarkably like them, came to my school in 1974. And one of the local butchers (he was a Conservative councillor when I was on Harborough District) hung rabbits and pheasants outside his shop as every lorry on its way from the West Midlands to Felixstowe rumbled past. I am sure he would have sold you Special Stuff if you had asked. Dave Mitcheson revisits the 1971 film's locations (though not the most famous of them - the Trinity Square car park in Gateshead). 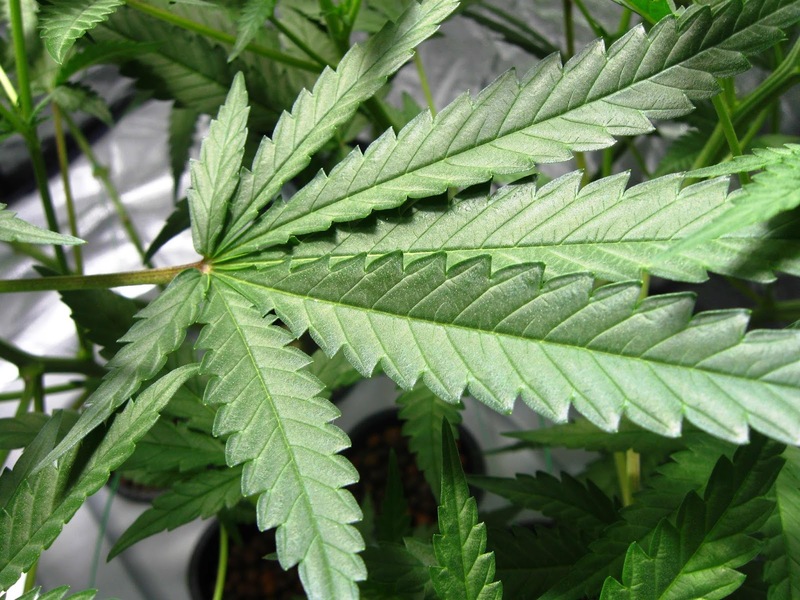 Vince Cable says the Liberal Democrats will keep pushing for the legalisation of cannabis. Mr Cable believes "there are serious side effects from driving it underground". 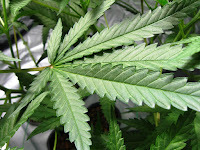 "You get toxic varieties like skunk that have the effect of creating psychotic disorders among their users," he told us. "Common sense would suggest that you should regulate and control the market rather than have free market anarchy." He adds that his policy "may not have been a great vote winner" but insists "it was commendable and sensible". "Officials took me through the cost-benefit analysis used by the Department for Transport and the Treasury to assess the viability of transport projects. This was almost exclusively an economic test and projects were judged by the economic value they created. In short, projects in parts of the country where the economy was strongest were more likely to score highest." Andy Burnham explains why the North of England misses out on public investment. Oliver Newham briefs us on Sheffield City Council's war on trees. Victoria Coren Mitchell attacks the government's failure to curb the spread of fixed-odds betting terminals: "Punters lose and lose and lose. And when they disappear, or kill themselves, or their child is taken into care and they start self-medicating with drugs instead, someone else steps blindly up to feed the monster. So, if you’re only allowed four per shop, open more shops!" Instead of penning children in and shrinking pizzas to fight obesity, let children play outside with their friends says Rob Wheway (a name familiar from the old Liberal Party. The alt-right misunderstands the 19th-century German philosopher Friedrich Nietzsche just as the Nazis did before them, argues Sean Illing. Hannah Booth interviews those who were there the day the Beatles came to Old St Pancras churchyard. Another unexpected find in Barrow upon Soar. The Round House was built in 1827, originally as a parish prison. Later it housed the hand-drawn fire-engine and then the village bier. It is now an occasional exhibition hall. This video comes from Mic. A row has broken out after two Conservative councillors who were suspended over anti-Catholic and racist tweets were re-instated to the party. Alastair Majury and Robert Davies were disciplined shortly after being elected to Stirling Council in May. Mr Majury tweeted in 2012: "Why is the Catholic Church against birth control? Because they'll run out of children to molest." He also used the term "tarrier" - an offensive term for Catholics - in other posts on his Twitter page. Meanwhile, Mr Davies was suspended after a series of tweets he posted in 2013 below a picture of black people waiting to board a plane were unearthed. One read: "In the interests of security keep your loin cloths with you at all times. Spears go in the overhead locker." Those who believed that the Scottish Conservatives under Ruth Davidson were pointing the wider party towards a Conservatism that is at ease with 21st-century Britain have been sorely disappointed. "She is keen to call out racism, sexism and other unacceptable behaviour, except when her own colleagues are the guilty ones." "Having served a suspension, both councillors have been readmitted to the party after offering unreserved apologies for any offence caused." There you have it: the modern non-apology apology. This "I am sorry if you feel X" formulation often carries with it the implication that you are being unreasonable in your reaction. But the problem lies with Mafury and Davies and no one else. The Scottish Conservatives should not have readmitted them. Cromer has been having its problems this weekend, so here is a 1930s railway poster that sells the town as "The Centre of Poppyland". GUEST POST What happened to the 8th Lincolns at the battle of Loos? 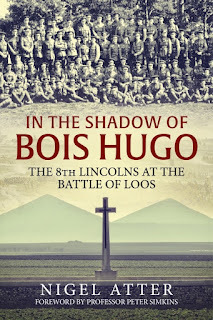 Nigel Atter, author of In the Shadow of Bois Hugo, on the incredible bravery of the 8th Lincolns. By early 1915 the Western Front had solidified into 400 miles of trenches from the North Sea to Switzerland. The French were committed to removing the German forces from their country. Lord Kitchener, Britain’s Secretary of State for War, also wanted to assist the Russians allies by attacking in the west. Kitchener stated, "We must act with all our energy, and do our utmost to help … even though, by so doing, we suffered very heavy casualties indeed." Thus the British Expeditionary Force was now committed to fight at Loos, in northern France in support of their French and Russian allies. The general reserves at the Battle of Loos in September 1915 had a torrid time when they went into action. Current historiography has also been unkind to them, saying they were "a disaster waiting to happen", that they were "routed" and worse still that they "bolted" from the field of battle. They are wrong. 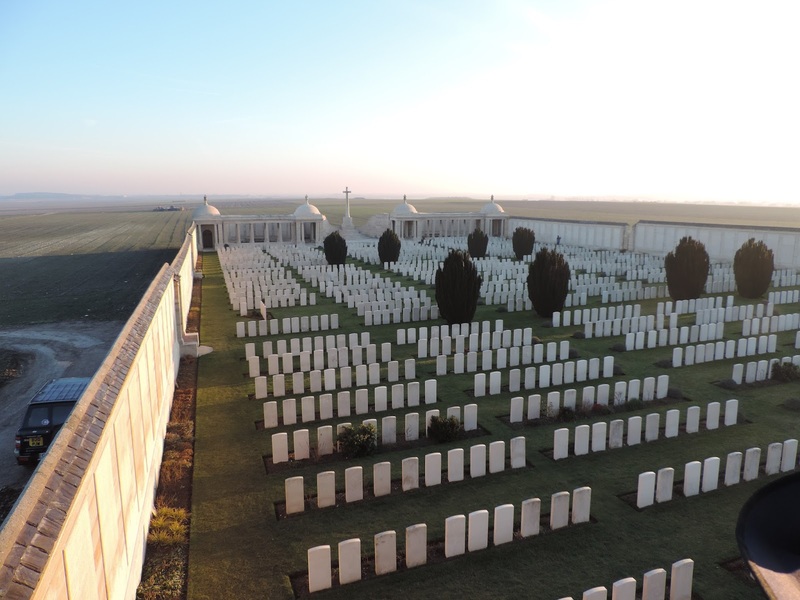 The Kitchener 21st and 24th Divisions suffered appalling casualties. Their misuse lead to the dismal of Sir John French and the commanding officer of 21st Division. As my own great-grandfather served with the 8th Lincolnshire regiment, 63 Brigade, part of 21st Division, I have been determined to find out what really happened. The 8th Lincolns were established in September 1914. The eager volunteers were mostly agricultural and industrial labourers. The number of men who had any previous military training or experience could be counted on one hand. This also applied to the officers who were mostly young gentlemen straight out of university or older retired officers dug out for military service. Their training was rudimentary. Lacking equipment and experienced officers they initially did little more than route marches. Khaki uniforms and leather webbing arrived in the spring of 1915. However, they were still equipped with obsolete rifles and bayonets until July 1915. Lead weights were used in training because they did not have any ammunition to carry. On the 10 September 1915 they left for war service in France. Sir John French decided to use the completely raw and untested 21st and 24th Divisions because they had not became accustomed to trench warfare. They would not be 'sticky' like other troops who had been out in France for some time. Plus the men were promised that they would be pursuing a beaten enemy – all they had to do was advance unopposed. The reserves suffered four trying night marches but were in position where Haig had asked them to be. This was some considerable distance five to eight miles behand the British Front line. On 25 September, following a discharge of gas British troops, in places, swept over the German front line. The 15th (Scottish) Division did particularly well capturing Loos and charging onwards towards Hill 70, where the advance came to a halt. Haig needed the reserves to exploit the success of the first day. Sir John French procrastinated, but eventually the reserves were released and on the march by 10.30 a.m., some five hours after the initial assault. They were singing was they made their way to the front. However, their advance was impeded by poor staff work, lack of traffic control and streams of wounded and POWs returning to the rear. Furthermore, there was a paucity of maps and information. The men had not been fed and there was a serious lack of water. It was pouring with rain - officers and men were soaked to the skin. The 63rd Brigade took point position for 21st Division and reached the wood Bois Hugo sometime after midnight where they were subject to rifle and machine gun fire. Following a hasty change over the men occupied hurriedly dug rifle pits, no more than two feet deep. Without picks or shovels, sandbags or barbed wire the position could not be improved. The advance was to be resumed at 11 a.m. Following the breach in their positions the Germans rushed up as many of their reserves as possible. Their position, which the 63rd Brigade faced, was now more strongly defended than the previous day. It was enhanced with concrete machine gun bunkers and defended by barbed wire four feet high and 20 feet deep. This position was untouched by British artillery fire. Crucial to the advance was the capture of Hill 70 – otherwise the British advance would be subject to German enfilade fire. The assault went in at 9 a.m and failed. This was partly due to a robust German defence, but because British troops had also been shelled by their own artillery. The attack by the reserves was scheduled for 11 a.m. Nonetheless, they Germans stuck first and counterattacked the men of the 63 Brigade. This fierce fight led to some men retiring in the face of overwhelming rifle and machine gun fire. The 8th Lincolns were caught in the midst of the melee. Their bravery was incredible. Lieutenant-Colonel Harold Walter led a charge against the Germans and was shot down, mortally wounded. Lieutenant Falkner stepped over his body and blazed away at the Germans to keep them off. Falkner was shot and killed. Captain McNaught-Davis led two or three charges, alas without success. He was seriously wounded with a bullet wound to the head. The Lincolns to the north of Bois Hugo held fast and fought with doggedness and tenacity. Running short of ammunition they took the cartridges of their dead and dying comrades. Meanwhile the advance of the reserves went ahead. They were shot to pieces in front of the German wire. Still unbelievable acts of gallantry occurred. Sergeant Saunders won a Victoria Cross for valour on the very field from which the reserves were supposed to have bolted. The 8th Lincolns position was growing increasingly precarious, exhausted, with their numbers dwindling, their offices dead or seriously wounded, almost out of ammunition the Germans surrounded the survivors. 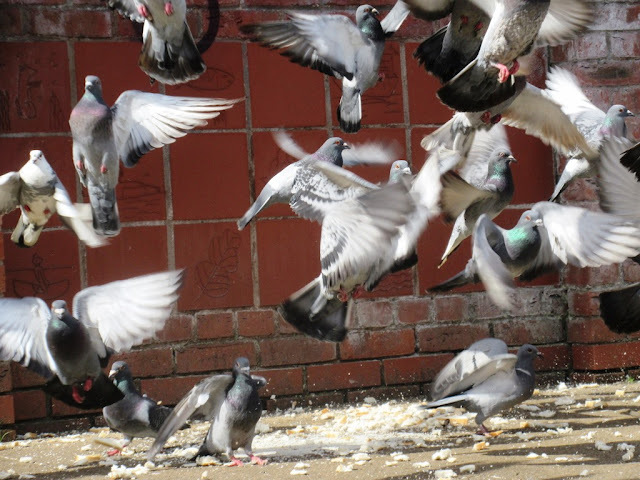 At 6 p.m. in the evening their fight was over – so much for running away! 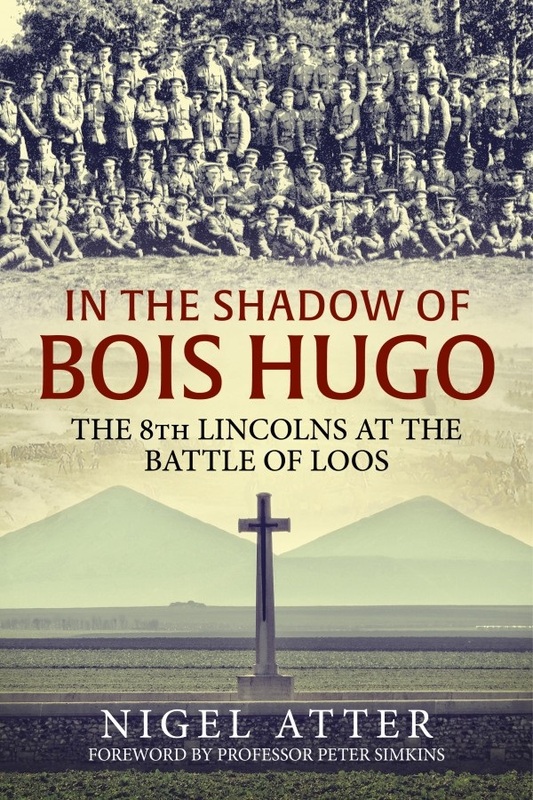 You can buy In the Shadow of Bois Hugo: The 8th Lincolns at the battle of Loos, 1915 from Helion & Co. and follow Nigel Atter on Twitter. "One day I may hit you with Raymond Lefèvre or Horst Jankowski," I threatened some years ago. Horst must wait, but Lefèvre's Soul Coaxing is terrific and you should listen to it now. What I didn't know when I first mentioned it is that Soul Coaxing was an arrangement of the song Âme Câline - I think that translates as "The Loving Soul" - by Michel Polnareff. It dates from 1967, when he was something of a sensation in France. His Wikipedia page reveals that Polnareff has had a long career interspersed with periods of success and obscurity and is still recording. You can even follow him on Twitter. In honour of Groucho Marx, who died 40 years ago today. Great as he is here, it's Harpo you watch. Sometimes it is more fun if you don't research a place before you go there. This morning, on a whim, I caught the train to Leicester and then to Barrow upon Soar in the north of the county. There, rather to my surprise, I came across two striking medieval buildings. Having consulted Pevsner when I got home, I now know what they are. Below you can see Bishop Beveridge House. This dates from the same era and, rather improbably, forms a pleasing group with a 19th-century Baptist church that was substantially rebuilt in the next century. William Beveridge was Bishop of St Asaph from 1704 to 1708, and his grandfather, father and older brother were successively vicars of Barrow upon Soar. The obvious question is whether William Beveridge of Beveridge Report family was related to this family. I can find no evidence that he was, but he certainly should have been. 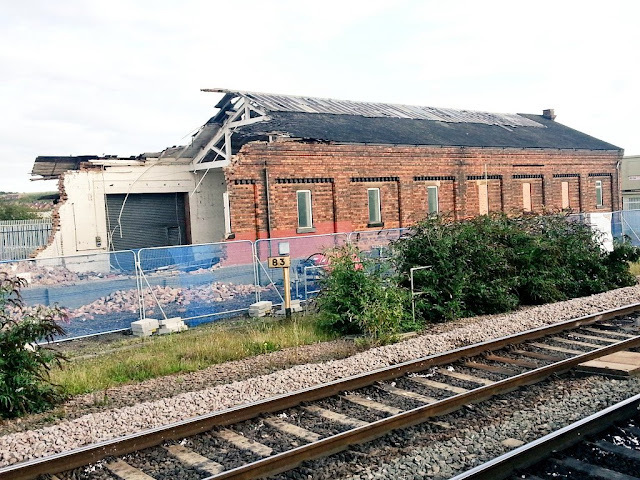 When it became clear that the Victorian goods shed at Market Harborough station did not figure in the plans to straighten the line and build a new car park, I went to photograph it. You can see it above. I usually work from home on Thursdays and was getting on happily when a possible crisis blew up and I had to go in to the office. At least another favourite feature on that side of the line has survived so far. We have our Headline of the Day. It begins with a reminder that in 1982 Fleet Street was still Fleet Street. Last week I posted a Bobby Chariot video in honour of Alexei Sayle's 65th birthday. But this is better. It's the first of three parts of a programme on Sayle in the Comic Roots series that was shown in 1982 and has not been seen since. The Leicester Mercury wins our Headline of the Day Award - despite its bad grammar.